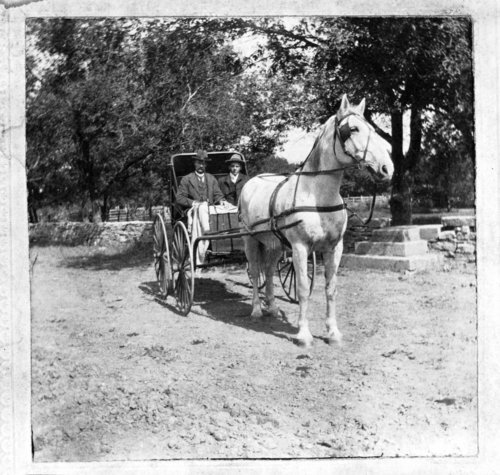 This black and white photograph shows from left to right Levi Chandler and Henry Rogler in a horse drawn buggy. Levi Chandler from Bazaar, Kansas, was a candidate for county clerk while Henry Rogler was a candidate for county surveyor. Rogler carried every precinct in Chase County except for Strong City where he was defeated by Democratic challenger John Few by 100 votes.